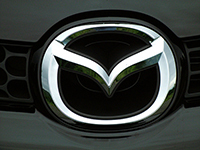 If you've had ongoing problems with your Mazda, you may be entitled to compensation. Kimmel & Silverman provides free Lemon Law help to many car owners every year. Potential for spider webs to clog fuel vent (Mazda 6 and Mazda 5). Heated seat issue (Mazda CX-9 Crossover). Electrical system problem (Mazda 3). Stalling problems (Mazda 5 Minivans). Steering problems (Mazda 5, Mazda 3). Equipment and engine cooling problem (Mazdaspeed 3). Engine cooling problem (Mazda RX-8). If you've tried to fix the same Mazda problem more than three times, or over an extended period of time, and you're under MANUFACTURER warranty, you may be entitled to significant compensation through your State Lemon Law or Federal Warranty Law. To see if you qualify, check out our 30-second Lemon Law online quiz. Legal help under the Lemon Law is completely FREE. Fill out this form and a representative of 1-800-LEMON-LAW will contact you within one business day about your lemon Mazda. Or phone us at 1-800-LEMON-LAW (1-800-536-6652).